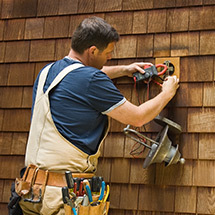 If you’re looking into getting a new roof, you’re probably overwhelmed. 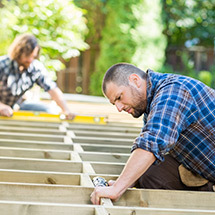 There’s no planning for the financial burden of a new roof, there’s just suddenly needing one. 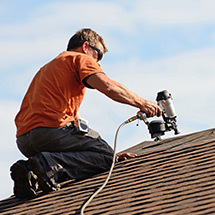 Even starting to think about re-roofing can be a daunting prospect. Your roof is a highly visible portion of your house, so if you’re hoping to put your home on the market any time soon, you’ll need to put that money first into improving your roof, and it’ll need to be resilient as well as sustainable. If you shudder to think of how many sheets of asphalt and rubber roofing materials pile up in landfills, then sustainability will certainly be one of your top priorities. 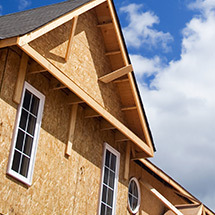 So how do you navigate roofing in a price-conscious, green manner? We’ll show you how. It looks like something out of Blade Runner, but in a non-industrial sort of fashion, and it’s attractive in pretty much every other respect too. They’re energy-intensive to produce, granted, but they’re super chic and there’s a variety of ways to alter your metal roofing to fit the aesthetic that you’re favoring over others. You can choose from standing seams and a wide variety of colors that you just can’t access in other materials. They contain high-recycled materials and they are very easily recyclable once they reach the end of their life, but that will be quite a ways away, as they last an incredibly long time. Our favorite happens to be either real slate roofing, or composite slate roofing. Real slate roofing is a much less sustainable material as it still has to be harvested off of a mountainside, but rock is more plentiful than more resources on the earth, so we feel less guilty about it. Composite slate roofing, however, is made of recyclable material, looks just like slate and weighs far less. It’s known for most likely outlasting your house itself and being salvaged among the rubble like reclaimed hardwood. If you love the Mediterranean-style homes from Tuscany and other Southern locales, you’ll adore the clay tiles on your home. They’ll fit in with a classic, Mount Pleasant style, southern antebellum architecture and even New Orleans inspired structures. If you have the extra roof supports to make it happen, there’s no reason you shouldn’t get the totally recyclable clay tiles and adorn your roof with a substance that will essentially go out of style when humanity itself ends. Of course, its durability is a much more appealing aspect than the aesthetic appeal of them. Still feeling a little overwhelmed with all of the options, even if you’re holding sustainability above all else? Reach out to Kramer Construction. We have a host of roofing experts who are more interested in finding the right material for you and your roof than they are into pressuring you to spend more. 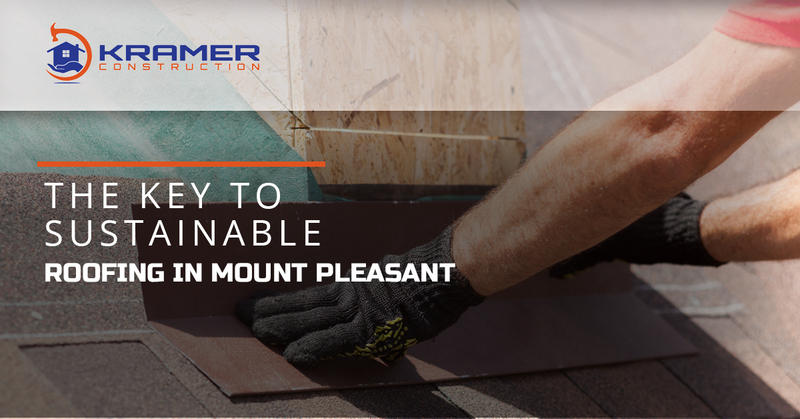 Reach out to us for your next Mount Pleasant roofing project.